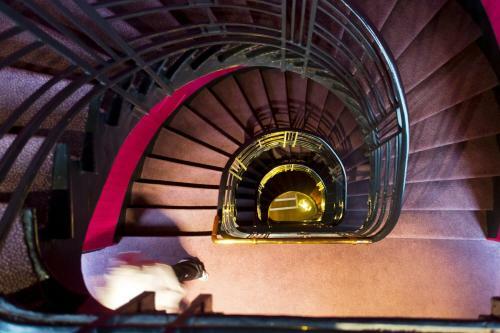 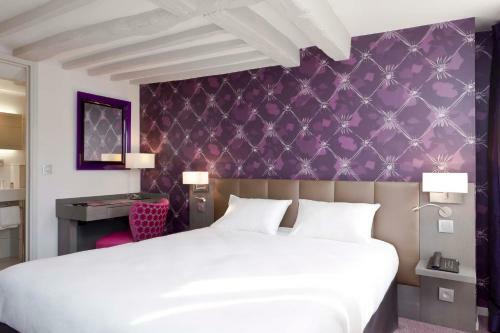 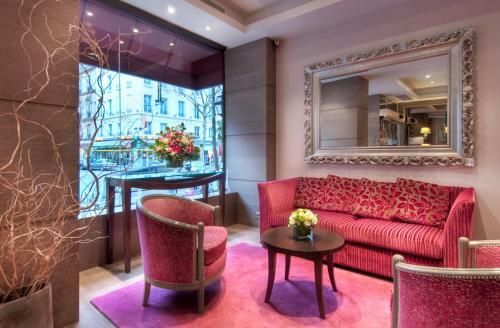 Hotel Massena is a 10-minute walk from Opéra Garnier in the chic Madeleine district. 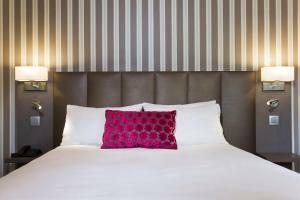 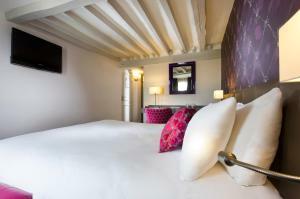 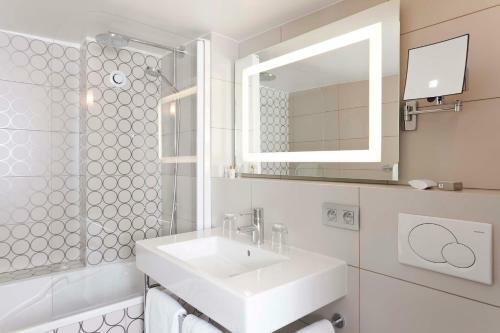 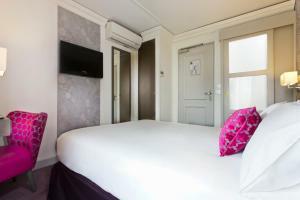 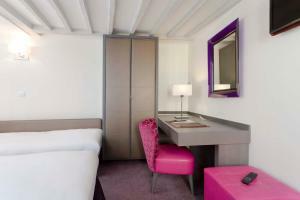 It offers contemporary rooms with free Wi-Fi and a minibar. 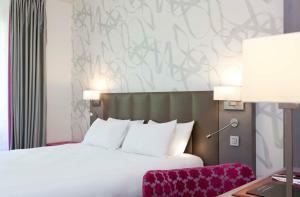 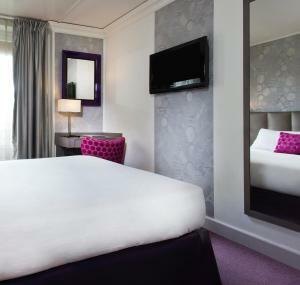 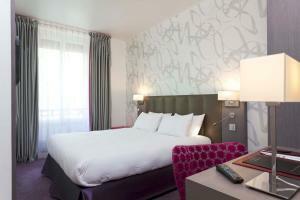 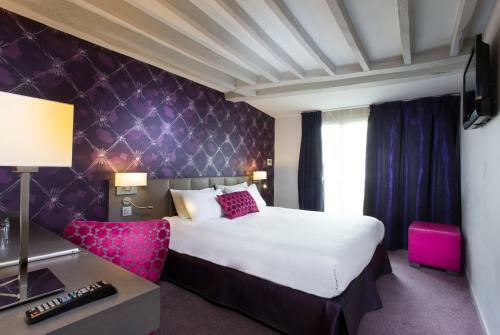 Rooms at Massena are decorated with the hotel’s signature colour and offer a TV with satellite channels. 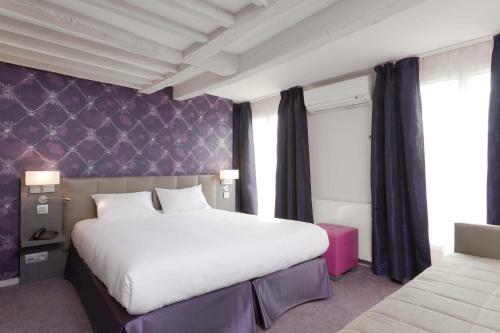 Each is air-conditioned and some have original wooden beams. 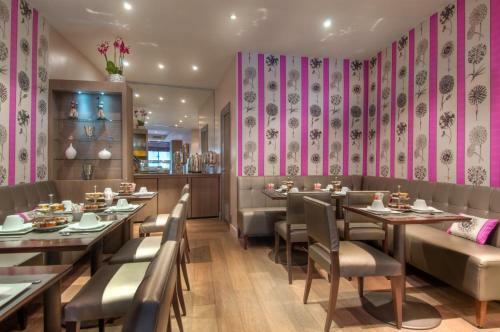 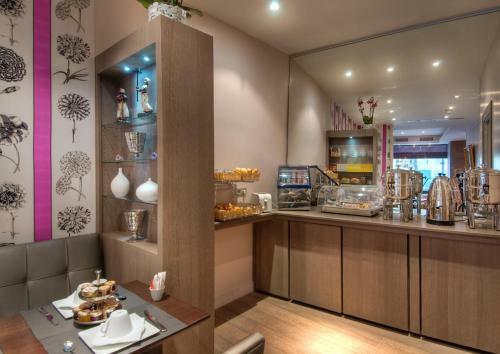 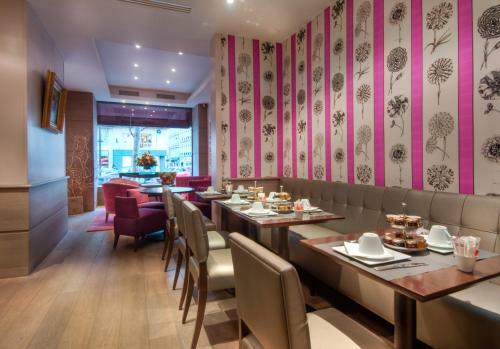 The pink and grey breakfast room offers a continental buffet every morning. 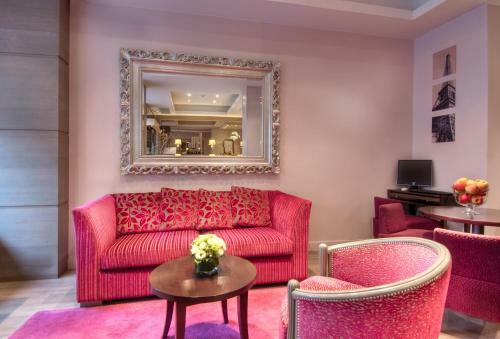 It leads onto the 24-hour reception and lounge where guests can use the internet terminal. Massena is just 650 metres from Galeries Lafayette and Printemps department stores. 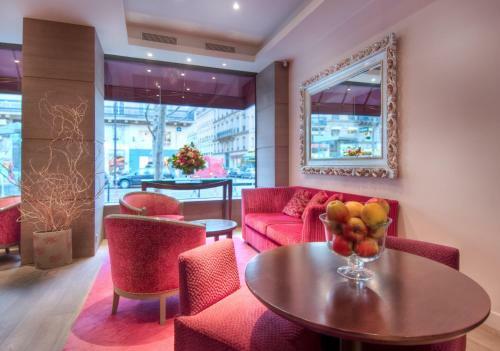 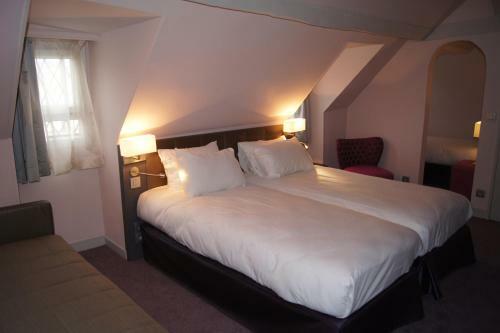 Just 3 minutes away is Madeleine church and Metro Station which leads to Place de la Concorde. 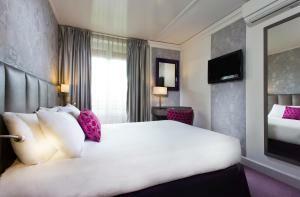 This air-conditioned room features satellite TV, a minibar and telephone. The en suite bathroom includes a hairdryer. 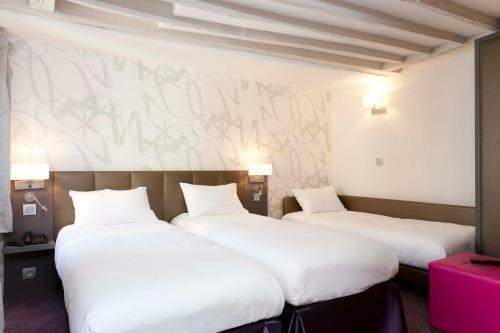 Rate: € 94.00 ... € 352.00; select dates below to get current rates.